I wonder if I did have prior experiences of déjà vu. When I searched through Google, I learned that it meant having a familiar experience or something already seen. Would I consider it déjà vu that I could have already watched a particular movie before? 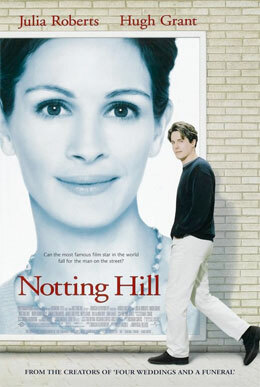 I remember I told one of my friends that it seemed I had seen Notting Hill top billed by Hugh Grant and Julia Roberts but maybe it was just only in my dream. Then comes to mind a Les Miserables song called I Dreamed a Dream. Well, what I am definitely sure of is that Notting Hill’s famous soundtrack is Ronan Keating’s popular song When You Say Nothing At All. It even had a female version which I enjoyed listening to and I find the song sentimental as it only brings back memories from the past. I even had an MTV feeling when I heard it being played in a bus. I was like singing along while the song is being played and at the same time feeling it. That time I had a schedule of entrance collegiate exam in a prestigious university which also became my alma mater. What came to my realization just now is that I would always have nostalgic feeling with the places I had gone to. Beautiful memories I shared with good friends would immediately bring flashbacks in mind. Just like when my mom and I went to Cebu City almost three years ago, I began to remember the laughter and excitement my friends had during our stay in a hotel. Since we knew that our brothers were staying in another room, we girls would knock at their room door to check them out. Each room has its own phone line which we also used as a way to connect and chit chat with our friends by ringing their phones in their respective rooms. When my mom and I stayed in the same hotel we stayed before, this made me relive the funny fun moments which up to now still puts a smile on me. Waking up this morning, I wondered why I dreamt about a heart shaped pink balloon which grew bigger every time it is touched by a hand. It came to my mind what could be the meaning behind such a weird dream. Instances like this would immediately move me to browse through Google and search for answers. Most of the time, I would feel elated upon learning that a particular dream symbol suggests a very positive message to me. On the other hand when I found the meaning not favorable to me, I would immediately brush them off my mind. Based on the results I got, they are definitely a mix of positives and negatives. So far this particular dream has been my most memorable dream. It’s not all the time that I can easily remember a dream and because of this I got curious it might have a significant meaning in my life. Reading dream interpretations like this seems a pleasure to me. Still it’s good to know something which may also help me understand and learn more about myself. Writing in a blog is indeed challenging. At times, I can’t seem to find words to express myself. It’s odd but it’s very true for me. Sometimes a good topic pops in your mind but then when you start to write, your mind suddenly turns into blank state. It’s funny though that I am still able to write something for today. I just want to write more often right now and I hope to develop this as a habit in the next couple of days. Anyway, I remember a particular episode in a comedy kiddie TV show being shown here in the Philippines called Going Bulilit. They cited instances what people do in the past as compared in the present. I especially liked when they reenacted situations you can instantly relate with. For instance, kids before would always go out and play with their neighbors. Most of the time they are reprimanded by their parents for staying up too late outside the house. Then when internet and hi-tech gadgets became available, kids nowadays would rather stay inside the house to use internet for Facebook or just play games in a smart phone. Another situation they showed is researching with the use of an encyclopedia. I really laughed hard when I saw that. Doing a research is a lot easier now because you can simply Google it right in front of your personal computer with an internet connection. I immediately recalled the times when internet was only available in school and when you have to go to an internet shop. I used to hate internet before because I also found researching difficult especially when it’s something new for me. I even told myself that if we have personal computer with internet at home I would really study and learn searching! And yes, it’s been years since I learned how to use internet and using Google to search for topics I need to research on. Even here in WordPress, I am still learning and it’s nice to learn more! What a great way to delight one’s afternoon by eating a cup of ice cream! For me eating an ice cream either in a cone or in a glass brings so much joy and relaxation to my senses. What more when it is shared with your great family and friends! I remember I ordered an ice cream before with almost the same toppings as shown in the picture below. Though the cost appeared pricey to me I ignored it. Since I traveled far enough to a particular place I went to, why not treat myself an afternoon snack. Eating ice cream feels like heaven to me. As I love and enjoy eating, I ordered an ice cream right away in the first store I entered to. Now I start to wonder where I placed that picture of the ice cream I ate. 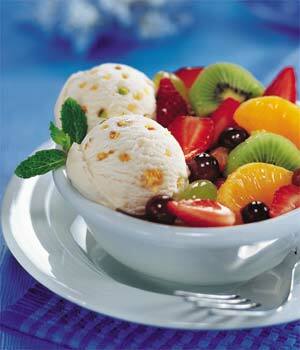 Anyway, I also enjoy eating ice cream with fresh fruits like strawberries, mangoes, peaches, kiwi, etc. Hence, I chose the picture below from among the images I found in Google. And I am starting to crave just by staring at the picture of this ice cream. I was actually looking back on the past decisions I made in my life. Just today, I also had a few talks with my elder brother and my mom. My elder brother asked me if I had some regrets in the past. Guess what. I immediately answered a big NO. 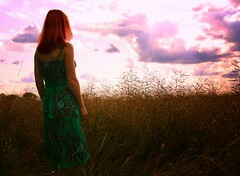 I just do not feel like dwelling with my past anymore especially those past mistakes. I hardly remember and even recall them at all. Things have changed surprisingly for me. I am more grateful now especially with everything that has happened to me from the past. Through the years I stayed in my previous work, I also took the opportunity to surf in the internet in my spare time. I love that I learned something new to increase my knowledge of interests. I learned more about the world of internet. By simply searching topics of interest via Google, you can get a number of free and valuable information. Last year was a very challenging year. I made a big decision in my life. I resigned from my first and last job after working for almost three years. It was not an easy resignation for me then. I have grown closer to my circle of friends. But there came a time that I desired to grow more as an individual. That is outside the confines of the walls of the office. I felt like it was time for me again to be uncomfortable. Before and after I formally gave my resignation letter to my former supervisor, I also experienced struggles. I did not expect to hear resistance from friends more so from my supervisor. Still I understood their feelings but that did not prevent me from pursuing what I truly wanted. From that day on, I decided to become an aspiring entrepreneur. I am happy I have already overcome first hand obstacles. And you won’t bring me down!